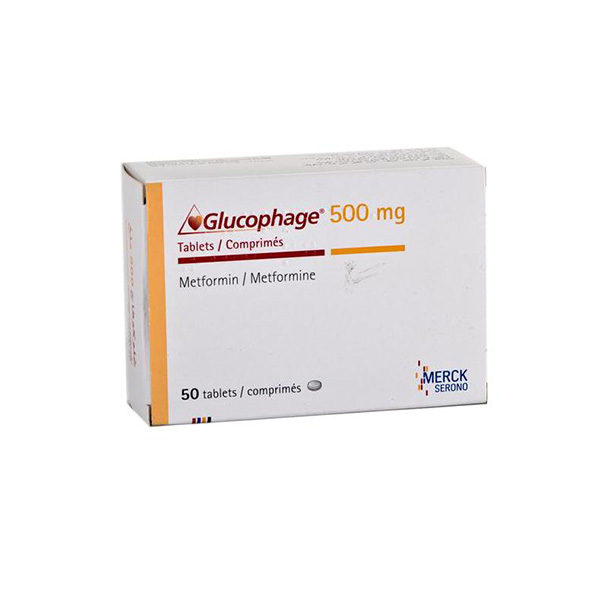 Glucophage is an oral medication used to control blood sugar levels in type II diabetic patients. Therapy with Glucophage may be combined with Insulin or other diabetic medication. Glucophage works by suppressing the production of Glucose by the liver. Glucophage may be used with or without food. How & where do I store Glucophage? If you are taking a beta–blocker or you will be having surgery or certain lab procedures. You have low blood oxygen levels, kidney or liver problems, high blood ketone or acid levels (eg, diabetic ketoacidosis), have had a stroke or a recent heart attack, or you are in shock or if you are 80 years old or older and have not had a kidney function test. Glucophage is known to cause drowsiness or dizziness. Your vision may be blurred and your judgement affected if you consume alcohol with this medication. So, avoid using alcohol while using Glucophage. Glucophage is an oral treatment of Type II diabetes. It is not meant for treating Type 1 Diabetes. Some doctors recommend using multiple birth control methods while using Glucophage because it may cause ovulation even in women who have undergone menopause. Glucophage can interfere with the results of certain laboratory tests. If tests are prescribed for you, then we recommend that you speak to your lab technician that you are using Glucophage before you undertake the test. Lactic acidosis is a known side effect of Glucophage especially in the early stages of treatment. Symptoms include an upset stomach, indigestion, nausea, vomiting, or diarrhea. If you experience anything like this, then please consult your doctor. Elderly people are more likely to experience side effects while using Glucophage. If the side effects are bothersome, then seek medical help. It is not clear whether Glucophage is safe for use by children below years of age. So, if the patient is under this age, then speak to your doctor regarding the possible risks. Glucophage is categorized under FDA category B. It is not harmful to an unborn fetus. Diarrhea, gas, headache, indigestion, nausea, and stomach upset, temporary metallic taste, vomiting. Allergic reactions (rash, hives, itching, difficulty breathing, tightness in the chest, swelling of the mouth, face, lips, or tongue), chest pain or discomfort, dizziness or lightheadedness, fast or difficult breathing, feeling of being unusually cold, fever, chills, or persistent sore throat, general feeling of being unwell, muscle pain or weakness, slow or irregular heartbeat, unusual drowsiness, unusual or persistent stomach pain or discomfort, unusual tiredness or weakness.